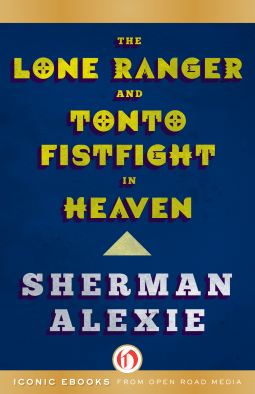 The twenty-four linked tales in Alexie’s debut collection—an instant classic—paint an unforgettable portrait of life on and around the Spokane Indian Reservation, a place where “Survival = Anger x Imagination,” where HUD houses and generations of privation intertwine with history, passion, and myth. We follow Thomas Builds-the-Fire, the longwinded storyteller no one really listens to; his half-hearted nemesis, Victor, the basketball star turned recovering alcoholic; and a wide cast of other vividly drawn characters on a haunting journey filled with humor and sorrow, resilience and resignation, dreams and reality. Alexie’s unadulterated honesty and boundless compassion come together in a poetic vision of a world in which the gaps between past and present are not really gaps after all. The Lone Ranger and Tonto Fistfight in Heaven received a Special Citation for the PEN/Hemingway Award for Best First Fiction, and was the basis for the acclaimed 1998 feature film Smoke Signals. Before I start my review proper, I just have to say what a great title this is for a book. I really enjoyed reading this book. It was a riveting collection of short stories that were a brilliant insight in to how life on the reservation was for native American Indians, told in an informative and delightful manner. It was an easy and pleasurable read and the format of the book, the linked short stories, was conducive to this, the short stories weaving a more complete picture. The book was imbued with humour and I found myself laughing out loud on numerous occasions. Despite the humour though, these stories also dealt with some serious issues, such as the prevalence of alcoholism amongst the native American Indians living on the reservation, or ‘rez’, and the way in which they were stereotyped by the white man. The author had a very relaxed style of writing. I imagine that this was following in the grand tradition of native American Indian storytelling. I sometimes felt as if I was sat around a campfire listening to stories about nature and spirits with close friends and family. Mostly though, these are stories of a tough, hard way of life. There were many beautifully descriptive passages, although there was a degree of angst and cynicism that came through also. I found it easy to identify with the many colourful characters, and their varied and interesting viewpoints were incredibly revealing. I would recommend this book as a great insight into the life of native American Indians and life on a reservation. Since it is a collection of short stories, it can easily be dipped into as and when you like, and read in small chunks, without sacrificing any continuity of plot. This review is based on a digital review copy provided by Netgalley and the publisher. A short while ago I was sent a copy of ‘Dark Wisdom’ by Matt Chase of Matt Chase International to read. It is a collection of about twenty short stories, some linked stories others entirely independent. I really enjoyed reading through the almost 150 pages. It is the first time I have ever been asked to look at anyone’s work, which made this kind of special. The stories were based on a variety of different topics, although there did appear to be some central themes that were explored more than others. In particular Eastern religious influences pervaded the collection, along with the idea of alternative lifestyles such as communal living. Both of these are of some personal interest to me so added to my enjoyment. As I have mentioned the stories were very varied ranging from gritty, down to earth stories involving domestic abuse to surreal fantasy and those of an overtly sexual nature. They were set in times ranging from the recent past, through the present day to the future. It was nice to have so many different stories as it kept things interesting. I would sometimes start to read a story and recognise characters as those from an earlier story, finding that the current story was either a continuation of an earlier one, or a different aspect of it. In particular I enjoyed a story called ‘The Complex Man’ and the protagonist Tim/Joel, but you will have to read the collection to find out what it is about. No spoilers here. To conclude, I really enjoyed this collection of short stories. In particular, I liked the variety of the stories and the inventiveness of the author in his approach to them. I would most certainly recommend taking a look. In addition, the author very considerately provided adequate warning in the introduction to the appropriateness of certain stories to some age groups. This is something that I think readers should be able to expect from any responsible author.